Make sure you purchase the engagement ring of your girlfriend's dreams. 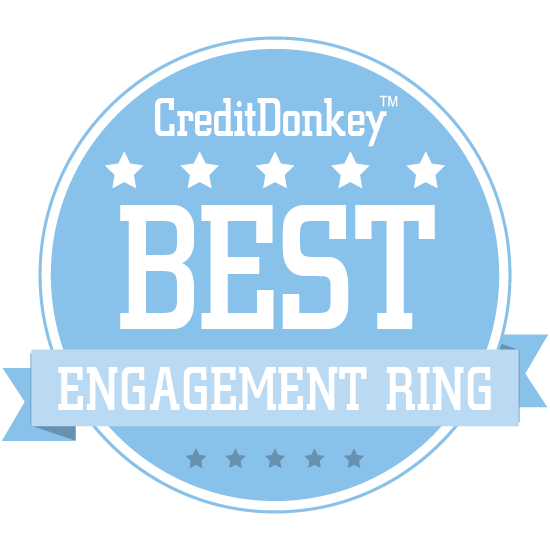 The winners of the CreditDonkey Best Engagement Ring Resources can help. At CreditDonkey, we believe in making smart shopping decisions and doing your homework. But with so many engagement ring options out there, it's easy to feel overwhelmed. And many jewelry sites are as useful as a glass hammer. That's why we put together this ultimate list of the very best engagement ring resources. Follow these sites below to see the latest trends, options, photos and advice for your perfect engagement ring. Cynthia Britt designs, provides diamonds and gems and creates the perfect ring for each and every one of her clients, and her website features examples of her work and a blog about jewelry design. Why Cynthia Britt is a Top Engagement Ring Resource: Cynthia's formal education was in computer engineering at Boston University. She then attended Hazeltine School of Fine Jewelry Crafting, where she graduated with a certificate in jewelry manufacturing. Her parents, an architect and a fine artist, were influential. She has an international clientele and works directly with her customers to create their dream piece. James Allen, one of the first online engagement ring boutiques, allows shoppers to design their own engagement rings from a variety of styles and 150,000+ certified, conflict-free diamonds. Founders Oded Edelman, James Schultz, Dean Lederman, and Michele Sigler set out to provide the very best diamonds at the lowest prices to their customers, and soon grew to be one of the largest online diamond and bridal jewelry retailers in the world. Why James Allen is a Top Engagement Ring Resource: Offering a lifetime warranty, 24/7 non-commissioned support from in-house diamond experts, and the ability to inspect each diamond, gem, and ring in magnified 360-degree HD views, James Allen offers a top-notch online shopping experience. Born from three generations in the diamond industry, this company prides itself on providing the highest-quality diamonds and designs through the best technology available. Soho Gem Fine Jewelry Boutique offers customers some of rarest, most desirable natural gems set in custom jewelry. Soho Gem is a true mine to market store bringing fine gems to NYC from Madagascar while sourcing ethically. Why Soho Gem Fine Jewelry Boutique is a Top Engagement Ring Resource: With high-end custom jewelry and rare, natural gemstones, this site offers up some truly fine engagement ring selections. Soho Gem specializes in handmade, custom engagement rings and wedding bands. All their gems are natural and many are not heated or treated. Charles & Colvard creates brilliant moissanite jewelry, growing their own gems and setting them within unique designs. Why Charles & Colvard is a Top Engagement Ring Resource: They pride themselves on using only sustainably- and ethically-sourced metals and gems while delivering accessible, yet luxurious, jewelry. With low prices, beautiful designs, and high-quality craftsmanship, anyone searching for an alternative to diamonds should check out Charles & Colvard. Reflective Images Jewelry creates stunning handmade designer jewelry, and is also a leader in the Fair Trade gold movement in the U.S. Founders Marc Choyt and Helen Chantler started their company in 1995, and today continue to work with their team to provide beautiful, ethical designer jewelry. Why Reflective Images Jewelry is a Top Engagement Ring Resource: Their jewelers have over 70 years of combined experience and don't use computer modeling; their unique pieces can only be crafted by those with decades of work in the field. They are always striving to use fair trade practices and enact social justice; if you're a consumer driven by conscience, this is the jeweler for you. The RealReal offers up a wide variety authenticated, luxury consignment jewelry. Why The RealReal is a Top Engagement Ring Resource: Shoppers will find high-end jewelry at rock-bottom consignment prices on this site. Jean Dousset Diamonds offers custom designs and allows costumers to craft their own detail into their rings. Why Jean Dousset is a Top Engagement Ring Resource: Jean Dousset, great-great-grandson of famed jeweler Louis Cartier, began his career in Paris before honing his detail-oriented craftsmanship and unique eye for design in the U.S.
Ada Diamonds' unique, exclusive jewelry collections use lab-grown diamonds, which are both more socially and environmentally superior to mined diamonds. Ada Diamonds operates as a full custom jeweler, so while they feature designs on our website, each piece is made to order for the individual client. Why Ada Diamonds is a Top Engagement Ring Resource: Ada Diamonds was built by a couple frustrated by the experience of designing a ring using a lab-grown diamond, and their store aims to make it infinitely easier for socially and environmentally conscious couples to get the ring of their dreams with no strings attached. Croghan's Jewel Box in Charleston, South Carolina, is packed with vintage, antique, and estate jewelry finds, including many one-of-a-kind pieces. 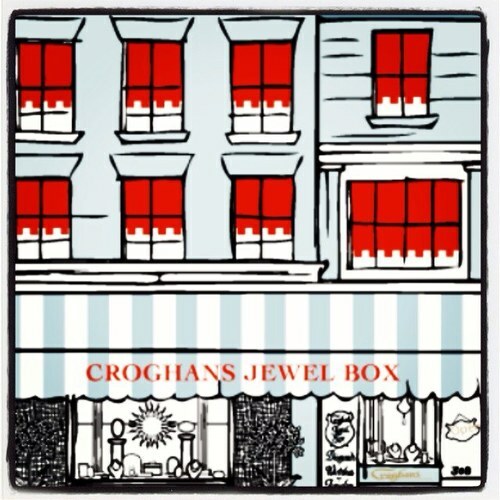 Why Croghan's Jewel Box is a Top Engagement Ring Resource: Experience runs deep at Croghan's Jewel Box, which is a family-owned business that has been operating for 100 years. Intersecting Hearts treats each and every ring as unique as the people who will be wearing them. Why Intersecting Hearts is a Top Engagement Ring Resource: Lead Designer Michael Nashef believes that each person is unique. When two unique people come together in love, they still remain individuals, but now their hopes, dreams and desires intersect, as their lives grow into a new life together. Intersecting Hearts designs represents this joining of two hearts. The shape formed by the intersection of two hearts resembles two budding leaves: a lifetime of growing love. H&H Jewels is one of Miami's premier retailers for diamonds, gemstones, engagement rings, timepieces, and more. Why H&H Jewels is a Top Engagement Ring Resource: They scour the world for the finest diamonds and gemstones with the aim of creating custom pieces that will stay with your family for generations. They partner with leading designers and manufacturers across the globe to ensure their clients receive the highest quality jewelry in the latest designs and trends. Genesis Diamonds aims to offer the public access to the diamond selection, quality, and price once available only to retailers, resulting in great prices on the best diamonds. Why Genesis Diamonds is a Top Engagement Ring Resource: Their shopping experience includes lifetime upgrade policies and money-back guarantees, so you can shop knowing that you can make your purchase with confidence. They have both an online store and physical locations in Tennessee, Ohio and Kentucky that often offer special discounts. Stone Fox Bride is a style and wedding resource for brides everywhere, with an in-house collection of stunning engagement rings. Why Stone Fox Bride is a Top Engagement Ring Resource: Stone Fox Bride is all about the bride, and their founder is all about picking the right designers to craft beautiful, unique jewelry. Simon G. Jewelry is hand-crafted jewelry designed to be of heirloom quality. Why Simon G. is a Top Engagement Ring Resource: Founder Simon G. came to America with nothing but $200 in his pocket and, after falling in love with the art of jewelry making, built a business that sells jewelry all over the world. Trabert Goldsmiths has been crafting custom fine jewelry for over 18 years, priding themselves on a high level of personalized customer service. Why Trabert Goldsmiths is a Top Engagement Ring Resource: They offer a wide variety of designs from timeless and classic to modern and trendy, and their staff will help you find the perfect stone and setting for your love. Visit their website or their San Francisco showroom, and you'll find a company ready to guide you through the custom engagement ring experience and help find you the perfect ring. J Hollywood Designs crafts unique engagement rings and wedding bands to order just for you. Why J Hollywood Designs is a Top Engagement Ring Resource: Jen Hollywood-Showell is a largely self-taught jeweler with a great deal of passion, and she uses diamonds and the eco-friendly, conflict-free diamond alternative moissanite in her designs. Deville Fine Jewelry & Diamonds is a Houston, Texas-based luxury jewelry business that designs and wholesales directly to the public. Founder and CEO Elizabeth Glanville has over 25 years of experience in the luxury goods industry, having served in executive and management roles with Cartier, Bulgari and Ashford.com. Why Deville Fine Jewelry & Diamonds is a Top Engagement Ring Resource: They source the finest diamonds from around the world and showcase them on their website, where you can build your own perfect engagement ring. They believe that jewelry is an expression of your personality, passion and lifestyle, and aim to help you find the perfect design for your loved one. Taylor & Hart gives customers the opportunity to design their own custom engagement rings with a professional designer. Why Taylor & Hart is a Top Engagement Ring Resource: For those who want a personal touch on their engagement ring, this company's custom ring service could be what you're looking for. 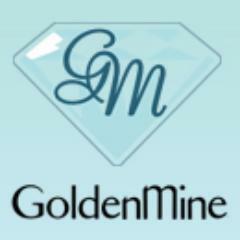 GoldenMine is a family-owned company that provides a huge selection of quality jewelry from around the world, including diamond engagement rings, men's jewelry, and more. Why GoldenMine is a Top Engagement Ring Resource: They offer a fine selection at great prices, and each piece is individually inspected by staff to ensure that it's up to their standards. They're also convenient to shop with; you can do it all online or contact their customer service for step-by-step help. Diamond in the Rough is for people who want unique, rough, natural diamonds to be the centerpiece of their engagement ring. Why Diamond in the Rough is a Top Engagement Ring Resource: Launched in 2005, these makers of unique jewelry quickly began selling all over the world, and are dedicated to creating unique, one-of-a-kind engagement rings. Because of the popularity of the original Orielle rings, Diamond in the Rough decided to launch its bridal collection in 2009. Each piece is individual in design with both traditional and modern takes on the symbol of eternal love, making them wearable works of art. Albert's Diamond Jewelers is a useful resource that allows users to search their designer engagement ring stock with a number of different criteria. Why Albert's Diamond Jewelers is a Top Engagement Ring Resource: Engagement ring shoppers who know what they're looking for will be able to easily search this site for the right elements to find their perfect engagement ring. Founded in 1850, ArtCarved has been innovating engagement ring and wedding band designs and styles for over a century and a half. Why ArtCarved Bridal is a Top Engagement Ring Resource: They offer vintage styles inspired by century-old designs, modern floral-inspired engagement rings, and a plethora of other stunning designs. With ArtCarved, you know that you're working with jewelers focused on the art of the engagement ring and a company with one of the longest, most storied histories in the industry. Four Mine aims to marry the best of online and offline engagement ring shopping with a focus on excellent quality, impeccable designs and reasonable pricing. Why Four Mine is a Top Engagement Ring Resource: All of their carefully-selected diamonds are certified conflict-free, and all of their pieces incorporate recycled metals. Each and every piece is handcrafted with care in their New York City studio, so you can be sure that you're only getting the highest quality. 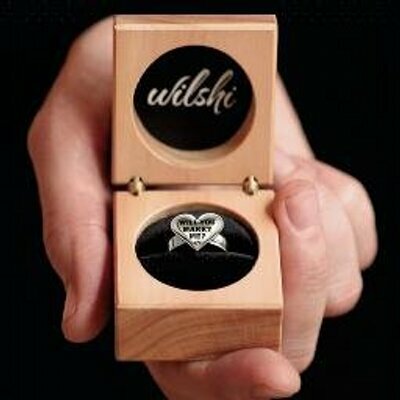 Wilshi aims to relieve the pressure that comes with picking the perfect engagement ring by offering a selection of proposal rings, each engraved with the key words, "Will You Marry Me?" Why Wilshi is a Top Engagement Ring Resource: Their highly affordable rings make proposing easier by taking the guesswork out of picking a high-priced diamond engagement ring. Their distinctive designs are beautiful and romantic, and perfect for a well-planned proposal. Nested Yellow Jewelry Co. creates eco-friendly jewelry inspired by the beautiful shapes and colors of the natural world. Why Nested Yellow Jewelry Co. is a Top Engagement Ring Resource: Designer Anna Isabel Vasquez seeks to connect to both nature and romantics at heart with her conflict-free custom jewelry. Shane Co. has been committed to excellent quality jewelry at a great value, along with excellent customer service, since 1971. Owner Tom Shane is a third generation jeweler who started his company in 1971, and has been helping his clients make informed decisions on the biggest purchase of their lives ever since. Why Shane Co. is a Top Engagement Ring Resource: When you purchase an engagement ring from them, you're getting a lifetime of free benefits, including free repair, maintenance, resizing, and more. Not only are you getting an excellent quality diamond, but their free lifetime warranty can save you thousands in repairs over the years. 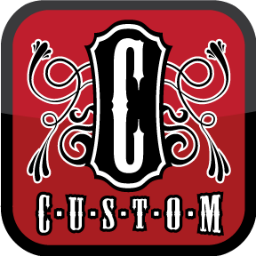 Custom is a jewelry company that lets you consult with a designer to create the perfect custom ring. Why Custom is a Top Engagement Ring Resource: This company's straightforward approach to custom jewelry creation will ensure you know exactly what to expect at each stage of the process. 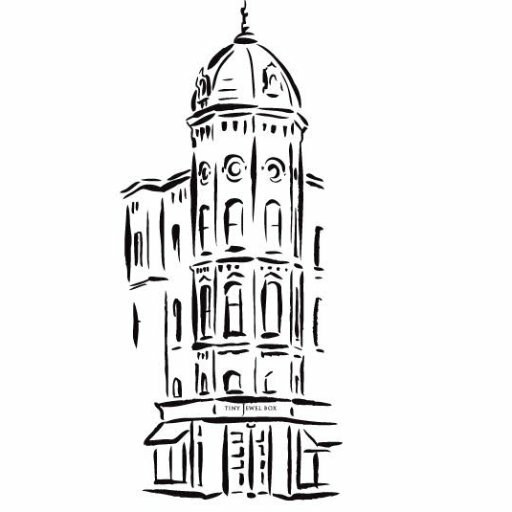 Long's Jewelers is a family-owned and operated full-service jeweler with stores in Massachusetts and New Hampshire; it has been operating for over 100 years. The company, founded by Thomas Long in 1878, aims to offer only the highest quality product and uncompromised service at the best possible price. Why Long's Jewelers is a Top Engagement Ring Resource: Shoppers can browse their many styles and pre-set diamond rings online, or visit one of their stores and experience their top-notch customer service. Offering everything from custom rings with conflict-free diamonds to vintage items, New England shoppers should definitely check out Boston's favorite engagement ring retailer. Krikawa Jewelry Designs believes that every love is unique, and every ring should be too; they offer you three different ways to design your perfect engagement ring. Founder and designer Lisa Krikawa is inspired by historic and futuristic forms, and has clients spread all across the world. 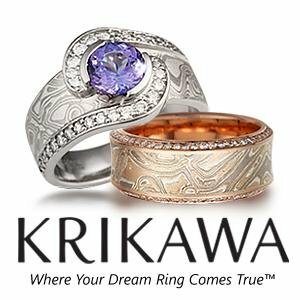 Why Krikawa Jewelry Designs is a Top Engagement Ring Resource: You can pick from their designs and select your metals and stone, work with their concierge service, or even work with one of their artists, who will sketch up your own design for you. As a member of the Responsible Jewelry Council, you can be assured that Krikawa's diamonds and gems are ethically sourced, as well. Gemvara is an online custom jewelry retailer that allows shoppers to create a custom diamond or gem engagement ring right on their website. 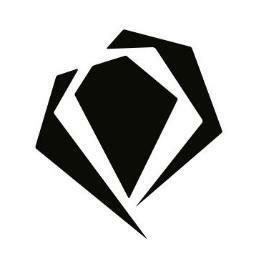 Gemvara is owned by Richline Group, Inc., America's principal jewelry manufacturer, distributor, and marketer. Why Gemvara is a Top Engagement Ring Resource: You can choose from 29 gemstones and 9 precious metals to create the ring design that perfectly expresses your love. With expert jewelers that scour the world for the highest quality stones, and consultants that guide you through every step of the process, you can be rest assured that your ring will be the highest quality and the perfect design. New York Wedding Ring is a unique custom jewelry experience that offers workshops in which you can make your own wedding band or engagement ring. Check out their website to learn more about their process and their workshops. Why New York Wedding Ring is a Top Engagement Ring Resource: Wedding bands can typically be fashioned in in one session, while engagement rings can be crafted in 1-2 day workshops. If you want to create a beautiful, meaningful ring for your special someone, there are few better ways to do it than to make it yourself. The Natural Sapphire Company lets you shop for sapphire engagement rings by choosing each individual element, from the metal to the shape of the stone and more. Why The Natural Sapphire Company is a Top Engagement Ring Resource: If a sapphire engagement ring is what you're after, this site offers a conveniently streamlined shopping experience. A family-owned business for over 35 years, Diamond Traces has grown to be one of the leading U.S. suppliers of Russian-cut diamonds and prides itself on being a global diamond expert. 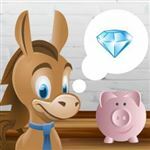 Why Diamond Traces is a Top Engagement Ring Resource: They understand that buying a ring can be a stressful and frustrating experience, and aim to make life easy for their clients in whatever way they can. Their master craftsmen create beautiful pieces, and their dedication to customer service brings you a lifetime warranty and a lifetime upgrade option. Diamond Ideals prides itself on impeccable craftsmanship and great customer service, ensuring their clients nothing but perfection. Why Diamond Ideals is a Top Engagement Ring Resource: Their staff of highly skilled gemologists works with clients at every step of the process, guiding them as they create their dream engagement ring. They are also experts in custom ring creation, whether you want to design something from scratch or re-purpose a prized family heirloom. 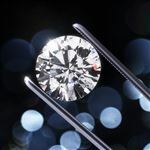 Diamond Ideals helps customers narrow their diamond parameters to best fit their desires and stay within their budgets. They then show them a broad selection of stones with varying combinations of size, cut, color and clarity so they understand the role each one actually plays and can finally make an informed and confident decision. If they are not able to come into their showroom in New York, they will send video comparing top contenders. The ring is then created around the stone of their choice rather than the typical store where the stone is set in a pre-existing ring. You simply cannot set a 2 carat stone in the same setting as a 1 carat stone. The proportions are wrong. They design the jewelry to showcase the center stone. 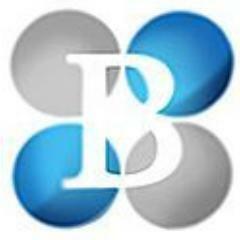 B2C Jewels aims to make buying jewelry online easier than ever, and shoppers can save up to 50% over retail prices without sacrificing quality. Why B2C Jewels is a Top Engagement Ring Resource: Each and every piece they sell is strictly supervised at each stage, from crafting to shipping, so you'll get only the best quality certified diamonds. This company prides itself on providing the best in customer service to make your shopping experience as pleasant and painless as possible. Adiamor sells elegant diamond engagement rings as well as a large selection of about 150,000 GIA certified diamonds. Why Adiamor is a Top Engagement Ring Resource: This is a great resource for loose diamonds if you're working with a designer to create a custom engagement ring. Fay Cullen is one of the world's largest online retailers of antique and estate jewelry. Why Fay Cullen is a Top Engagement Ring Resource: Their expert staff calculate diamond weights, grade stones, organize repairs, and more. Their sales department is likewise knowledgeable, dedicated to answering every customer's questions about their wide selection of vintage jewelry. 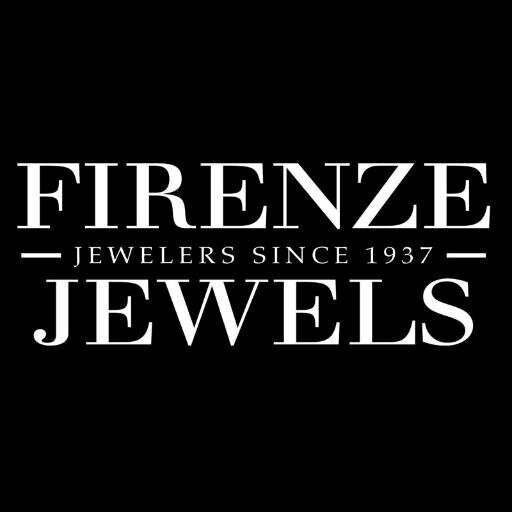 Firenze Jewels features a wide selection of beautiful diamond engagement rings, ranging in style from Victorian to Art Deco to Modern. Why Firenze Jewels is a Top Engagement Ring Resource: All of their diamonds are 100% natural and not treated in any way, and they are committed to selling only 100% conflict-free stones. Not only do their designers strive to bring customers only the best, most beautiful designs, but they continually scour the world to find exquisite vintage and antique pieces, too. Solomon Brothers Fine Jewelry is an Atlanta, Georgia-based retailer of fine diamond rings and ring settings that prides itself in providing excellent quality at an affordable price. Ivan, Howard and Anthony Solomon were raised in Cape Town, South Africa, and have been in business since 1982. 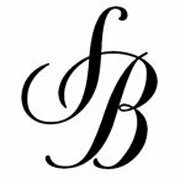 Why Solomon Brothers Fine Jewelry is a Top Engagement Ring Resource: Their expertly-sourced diamonds can be set in your own perfect setting, allowing you to create the perfect engagement ring for your love. They go directly to the mines to not only ensure the very best quality, but also to ensure that all of their stones are 100% conflict-free. I Do Now I Don't is an online marketplace that allows consumers to buy and sell diamond rings directly, cutting out the middlemen and their markups. Founder Josh Opperman created I Do Now I Don't after his own heartbreak left him with an engagement ring he had no idea what to do with; now, he helps others like him get a fair price on their unneeded jewelry. Why I Do Now I Don't is a Top Engagement Ring Resource: Whether you're looking for a fair price for an engagement ring you no longer need or are trying to save on a ring of your own, this site's prices are tough to beat. This is also an excellent site for finding unique jewelry that you won't discover anywhere else, all offered at low prices by motivated sellers. Michael M Collections' engagement rings are designed with the knowledge that some traditions are meant to be broken; their beautiful, handcrafted rings combine modern flair and vintage style for a unique look. Michael M, an innovator in the jewelry industry, was founded in 2008 and is today one of the world's premiere designers of high-end engagement rings and fashion jewelry. Why Michael M Collections is a Top Engagement Ring Resource: Their detailed adornments and uncommon designs are made for modern, fashion-forward women. All of their rings are made using the European shank, which results in a more comfortable fit without sacrificing the style and elegance you expect. Allurez is a designer and retailer of high-end jewelry, offering customers the ability to design their own custom engagement ring starting with either the setting or the diamond. Why Allurez is a Top Engagement Ring Resource: With their huge selection of gemstones, colored diamonds, and white diamonds, you're sure to find the perfect stone for your perfect ring. 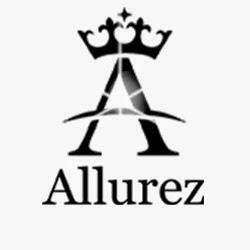 Allurez also strives to put customers first, with insured shipping, an easy return policy, and great prices. Sasha Primak combines old-world Russian and Italian craftsmanship with cutting-edge technology to craft breathtaking diamond jewelry of the highest quality. Why Sasha Primak is a Top Engagement Ring Resource: With their online "Design Your Own" tool and team of design experts, they'll help you craft a customized engagement ring from a variety of diamond options. All of the rings are handcrafted in their New York design studio, ensuring only the highest quality in craftsmanship. Swoonery aims to make the buying of fine jewelry easy and accessible with a team of experts to guide your through a shopping experience that meets your needs and preferences. Founder Jean Z. Poh, the fourth generation in a family of high-jewelry professionals and collectors, holds a graduate degree in diamonds from the Gemological Institute of America. Why Swoonery is a Top Engagement Ring Resource: They hold a deep respect for the art of jewelry making, too, resulting in stunning, unique ring designs from brilliant designers. Customer service comes first for Swoonery; they aim to get to know you and your preferences and bring you designs you won't find anywhere else. Ariel Gordon Jewelry believes that jewelry should be an extension of the woman wearing it, symbols of those she loves and memories she treasures; the custom engagement rings Ariel creates with her clients are representative of that. Ariel launched her company in 2009 out of her Santa Monica apartment, and has created jewelry for the likes of Jennifer Lawrence, Charlize Theron, and Jennifer Hudson. Why Ariel Gordon Jewelry is a Top Engagement Ring Resource: Ariel has designed countless engagement rings, and will guide you through the design process from start to finish. All of her jewelry is created in her Santa Monica, California, studio, focusing on the intersection of traditional craftsmanship and modern design. Esqueleto's combination of stunning vintage jewelry and unique, designer-crafted pieces makes it a great stop for those looking for something truly one-of-a-kind. Why Esqueleto is a Top Engagement Ring Resource: Company founder Lauren Wolf learned her craft as a jeweler in the mountains of Mexico, and her work has been featured in several nationwide fashion publications. 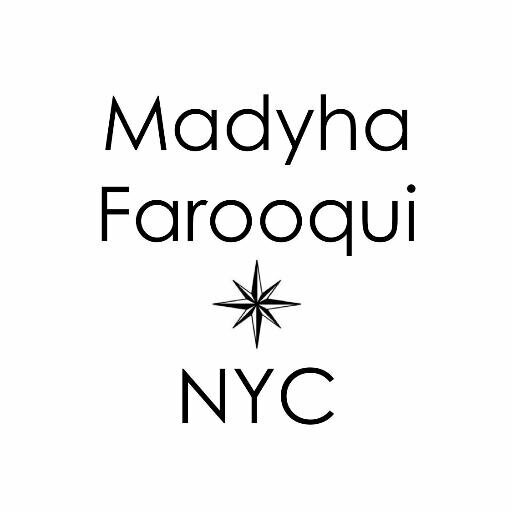 Madyha Farooqui Jewelry offers made-to-order, bespoke engagement ring design services and uses only certified conflict-free diamonds. Why Madyha Farooqui Jewelry is a Top Engagement Ring Resource: This site has a wide variety of ring designs, and if you don't see what you want, you can consult with them about their custom design service. 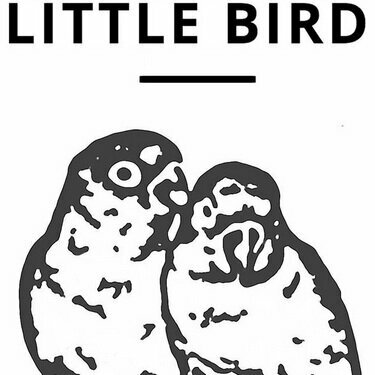 Little Bird knows that shopping for an engagement ring is high-stakes, both emotionally and financially, and aims to guide their clients through the process of imagining and designing the perfect ring. 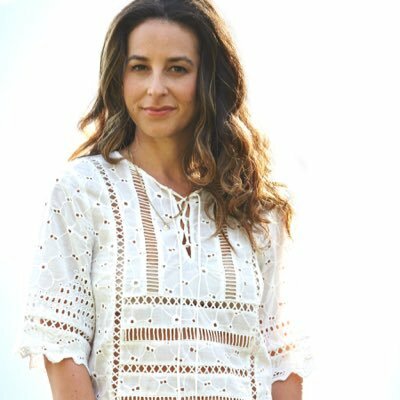 Founder Danielle Mainas brings years of experience in every aspect of jewelry production to her company, and has helped over 3000 couples find the perfect ring. Why Little Bird is a Top Engagement Ring Resource: Their team of ring coaches takes the time to get to know you, your goals, and your vision for the ring to take the anxiety out of the experience. They'll save you hours of research time by providing you with a comprehensive education on all the details of engagement ring design and creation. Chinchar/Maloney crafts artisan jewelry using uniquely beautiful, untreated, ethically-sourced rustic diamonds. Why Chinchar/Maloney is a Top Engagement Ring Resource: Rustic diamonds have a unique beauty all their own, and you can see what they bring to an engagement ring on this site. 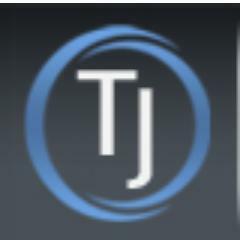 With custom designs, brands, and a well-organized online store, TJ's Fine Jewelry is a well-rounded engagement ring resource. Why TJ's Fine Jewelry is a Top Engagement Ring Resource: TJ's offers custom jewelry design, but you can also take a look at their jewelry brands for a taste of what's popular today, too. Adeler Jewelers offers one-of-a-kind custom engagement rings crafted to reflect the loves and values of the wearer. Jorge Adeler and his family emigrated to the U.S. from Argentina in 1973, and they have been crafting exquisite jewelry in their Virginia workshop since 1975. Why Adeler Jewelers is a Top Engagement Ring Resource: Not only do they offer custom design, but also custom re-design of prized heirloom jewelry. Their jewelers' knowledge of style and quality is second to none thanks to their travel to gem mines and gold factories; you can be assured that your ring is in good hands with Adeler. POPPYOR designs fine jewelry created not just to be beautiful, but to become a personal core element for the wearer and last for generations to come. Why POPPYOR is a Top Engagement Ring Resource: All of their pieces are crafted from ethical, sustainable sources, including recycled and conflict-free diamonds. All of their pieces are meticulously handcrafted by their founder, Poppy, and her highly skilled team of jewelers, and designed to be loved for a lifetime and beyond. 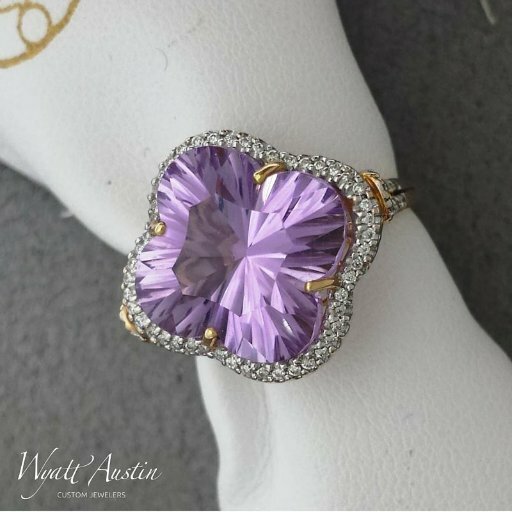 Wyatt Austin Jewelers in Illinois find or create the rings of their customers' dreams, and their blog is a great educational resource for those looking for more information about diamonds, gemstones, and jewelry design. Why Wyatt Austin Jewelers is a Top Engagement Ring Resource: With more than 30 years' experience, Wyatt Austin Jewelers are a well-established and trusted business with a wide range of products and an extremely helpful website. Jeff Cooper has been individually handcrafting exquisite engagement rings with an unbridled attention to detail for over 40 years. Jeff began his journey in Manhattan's first Diamond District and has been awarded by several institutions throughout his career, including being named PGI's "Platinum Designer of the Year. Why Jeff Cooper is a Top Engagement Ring Resource: Each ring is designed with Cooper's mantra of refined simplicity in mind, and no piece leaves their workshop without being personally inspected by Cooper himself. 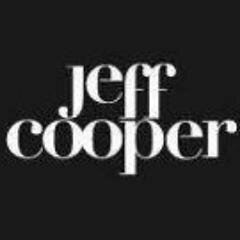 Visit their website to view their beautiful engagement ring options and find a Jeff Cooper retailer near you. Sylvie is dedicated to creating diamond jewelry that is timeless, versatile, and sophisticated, and offers the highest level of customer service to every client. Born and raised in Antwerp, Belgium, Sylvie comes from a diamond family and has been continuing the tradition with her husband, whose family owns Spectrum Diamonds. Why Sylvie Collection is a Top Engagement Ring Resource: Her specialty is re-styling; couples looking to upgrade their ring should definitely take a look at her work. Sylvie aims to provide a wide variety of styles and settings at every price point, setting a new standard for affordable luxury. Read: Meet Sylvie Bridal Ambassador Ariana! Specializing in custom jewelry designs, Sami's Fine Jewelry uses diamonds and gemstones from all over the world, including many American gemstones. Why Sami Fine Jewelry is a Top Engagement Ring Resource: This Arizona jewelry store is run by a mother and daughter team (first and second generation jewelers) who bring years of expertise to the job. With a number of bridal collections and a huge variety of engagement ring styles, Gabriel & Co. is sure to have the kind of ring you're looking for. Why Gabriel & Co. is a Top Engagement Ring Resource: This site has a huge number of designs from a number of different artists, making it a well-rounded resource for ring shoppers. 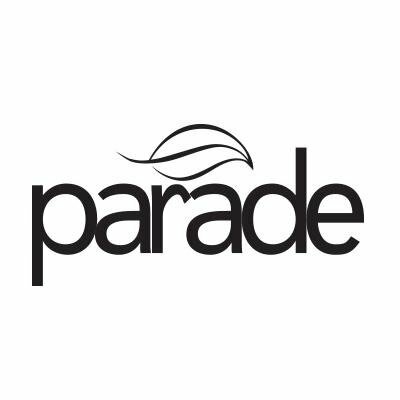 Parade Design features a number of designer ring collections and styles ranging from contemporary to vintage. Why Parade Design is a Top Engagement Ring Resource: The variety of rings on display on Parade Design's site makes it a great resource for those who want to check out a number of different styles. LilyEmme Jewelry offers handmade jewelry made from recycled gold, merging traditional designs with clean lines to create elegant, modern jewelry. Designer Valerie Madison-Nethery is the brains behind LilyEmme, and sees jewelry as a reflection of our individual style and a marker of our personal journeys. Why LilyEmme Jewelry is a Top Engagement Ring Resource: This Seattle-based studio strives to be as green as possible while providing the highest attention to detail. They also love working with clients to create elegant, bespoke engagement rings and other jewelry. Russian Brilliants offers high-quality, man-made simulated diamonds set in beautiful custom ring designs. Why Russian Brilliants is a Top Engagement Ring Resource: This site is a great resource for those who want to go with man-made, simulated diamonds in their engagement ring. Trained in New York and San Miguel de Allende, Mexico, Lauren Wolf's reflects a raw and unique take on fine jewelry. All her pieces are designed and produced in Oakland, California. Why Lauren Wolf Jewelry is a Top Engagement Ring Resource: The one-of-a-kind, ethically sourced designs on this site make it a must for shoppers looking for an engagement ring that will stand out. 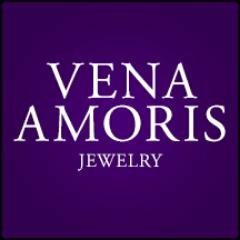 Vena Amoris Jewelry offers diamonds, diamond alternatives, and gemstones all set in their beautiful designs. Why Vena Amoris Jewelry is a Top Engagement Ring Resource: With a variety of stones available, this is an excellent resource for those still deciding between a diamond and an alternative stone. OGI-LTD's hand-crafted gold and platinum jewelry has garnered international praise, and her blog is a celebration of love, from love stories to engagement advice and more. 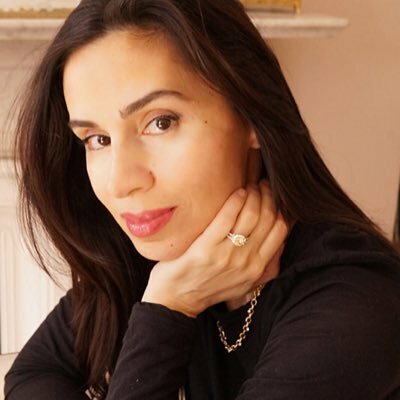 Why OGI-LTD is a Top Engagement Ring Resource: Designer Osnat Gad has traveled the world in search of the finest materials, and has been using them to design unique engagement rings since 1992. 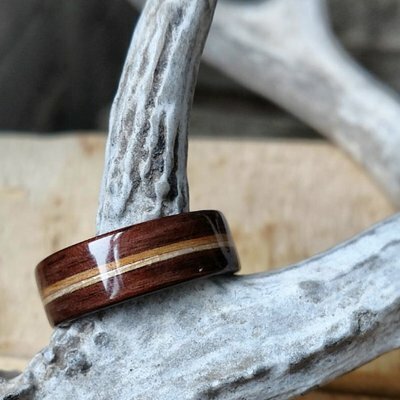 Simply Wood Rings is all about beautiful, eco-friendly wood engagement and wedding rings, and their blog is filled with ways to live a more eco-friendly lifestyle. Why Simply Wood Rings is a Top Engagement Ring Resource: Founder and lead designer Gustac Reyes has formal training and years of experience, but it's his passion for the planet and his eye as an artist that led him to create these wooden rings. Virginia-based Christopher William Jewelers offers highly attentive individual customer service and an on-site Master Jeweler who can design, create, or repair your most prized possessions. Why Christopher William Jewelers is a Top Engagement Ring Resource: They are a full-service jewelry store, meaning that your engagement ring will always be well-cared for by their expert staff. With designers like ArtCarved, Hearts on Fire, and Pandora on offer, you're sure to discover the perfect engagement ring for your loved one here. K. Hollis Jewelers helps their clients create the perfect engagement ring, no matter what their experience level. Founder Karen Hollis got her start creating beaded jewelry in 1996, and has continued to share her passion for beautiful jewelry ever since. Why K.Hollis Jewelers is a Top Engagement Ring Resource: Their experts want to know all about the love of your life: their likes, dislikes, hobbies, and passions, and they'll use all of that to help you design the ring. They'll also help you find the perfect gem for your style and price point, whether it's a diamond or another gem. 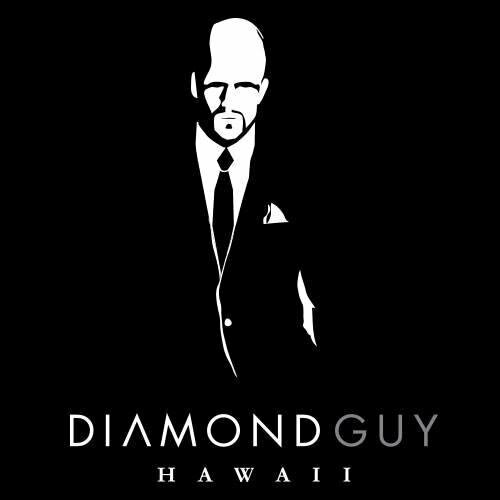 With 16 years of wholesale diamond experience, The Diamond Guy Hawaii is a resource for anyone who wants to purchase or sell an engagement ring. Why The Diamond Guy Hawaii is a Top Engagement Ring Resource: Their aim is to make the experience easy and stress-free; they'll help you every step of the way, from picking the perfect diamond to designing a beautiful ring. They offer hands-on customer service, including one-on-one time with Moshe Hakemolo, one of Hawaii's foremost diamond experts. Ethan Lord Jewelers is a Chicago-based company offering beautiful custom jewelry and engagement rings. Why Ethan Lord Jewelers is a Top Engagement Ring Resource: All of their pieces are handcrafted on-site, and their experts will work ceaselessly with you to create the perfect expression of your love. They offer only GIA-certified diamonds and stunning, customizable setting designs in platinum, white gold, yellow gold, rose gold or palladium. Golkonda New York is a high-end jewelry business with a focus on perfectly-cut diamonds, and their blog is all about diamonds, too: their history, the facts surrounding them, and stories about them. Why Golkonda New York is a Top Engagement Ring Resource: Golkonda's unique Clear Cut Light diamonds aim to capture the sheer brilliance of each stone to create the world's most beautiful diamonds. Golkonda likes to emphasize value, in particular on GIA Triple Excellent diamonds. They seek partners who believe in fine jewels and diamonds to elevate social consciousness by giving. Titanium Jewelry offers black titanium, tungsten, and even meteorite wedding bands for men. Why Titanium Jewelry is a Top Engagement Ring Resource: If you're looking for a unique, masculine wedding band, you'll find plenty of great styles on this site. Form Bespoke Jewellers specialize in handmade custom engagement rings and fitted wedding rings, tailored to fit each client's style and budget. Led by Tim Swann and Gary Thompson, the multi-award-winning Form Bespoke Jewellers have over 60 years of combined experience in the jewellery industry. Why Form Bespoke Jewellers is a Top Engagement Ring Resource: This Leeds, England-based company will support you throughout your journey, ensuring that you get everything you want in a ring. Once you've made your purchase, they will support you with complimentary lifetime maintenance, cleaning, polishing, and even re-plating as necessary, free of charge. Little Treasury Jewelers has been servicing the Baltimore area for over 20 years, offering wedding and engagement jewelry, fine timepieces, and more. Why Little Treasury Jewelers is a Top Engagement Ring Resource: Baltimore-area readers looking for a jewelry retailer with an excellent reputation and large selection of engagement jewelry should give this site a look. 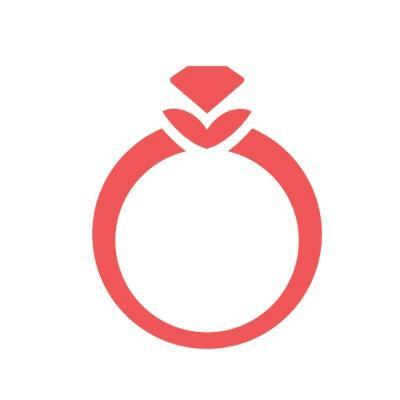 Worthy is a site for those looking to sell their old engagement ring. Why Worthy is a Top Engagement Ring Resource: This is a great resource for those looking to sell a diamond ring. This is a C2B marketplace auction platform. The general public cannot buy on Worthy. Instead their buyer community is a vetted professional group of buyers from across the country. Melissa Tyson Designs crafts rustic, handmade custom engagement rings with a variety of available gemstones. Why Melissa Tyson Designs is a Top Engagement Ring Resource: Anyone on the lookout for a truly unique style for their custom engagement ring should definitely take a look at Melissa's work. Brian Gavin Diamonds offers custom engagement rings, loose diamonds, and designer jewelry from Brian Gavin, an authority in the crafting of the Hearts and Arrows diamonds. A 5th-generation jeweler, Brian is a world-renowned diamond cutting expert, and he and his team of experts create only the finest custom diamond engagement rings. Why Brian Gavin Diamonds is a Top Engagement Ring Resource: You can browse their selection of beautiful custom engagement rings online to find the perfect designer setting to express your feelings to your loved one. Brian Gavin specializes in precision-cut diamonds and custom jewelry for a discriminating clientele. Note: while their inventory is relatively small, they do offer custom cutting services. Casale Jewelers offers fine jewelry, watches, and more, including a large selection of designer engagement rings. Why Casale Jewelers is a Top Engagement Ring Resource: This site's detailed profiles of its designer engagement rings make it a great resource for anyone who's going ring shopping. 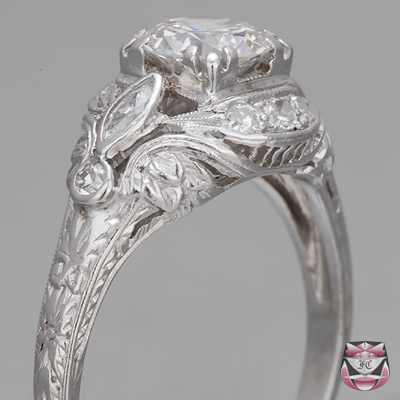 VintageDiamondRing.com offers shoppers vintage, antique, and art deco engagement rings in a huge number of stunning, unique styles. Why VintageDiamondRing.com is a Top Engagement Ring Resource: Those searching for an antique engagement ring or something that's truly stunning and unique will find a huge number of beautiful options on this site. Have You Seen the Ring? sells pre-owned engagement rings and also buys used rings. Why Have You Seen the Ring? is a Top Engagement Ring Resource: Readers who want to save money and still get a stunning engagement ring should give this site a look. I Hate Steven Singer sells the eponymous Singer's unique jewelry designs, and also contains guides for men out to purchase the perfect ring. Why I Hate Steven Singer is a Top Engagement Ring Resource: This site is notable not only for its selection of stunning engagement rings, but also for the help its content can bring to men who are clueless when it comes to ring shopping. 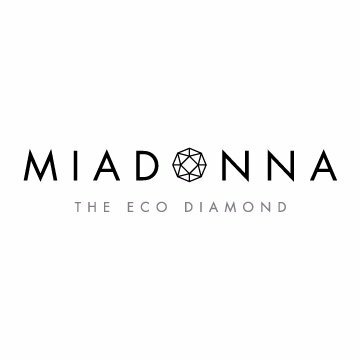 MiaDonna is the global leader for ethical, beautiful and affordable conflict-free fine bridal jewelry, lab-grown diamonds and gemstones. Why MiaDonna is a Top Engagement Ring Resource: Those shopping for an ethical engagement ring or lab-grown diamond should visit MiaDonna. 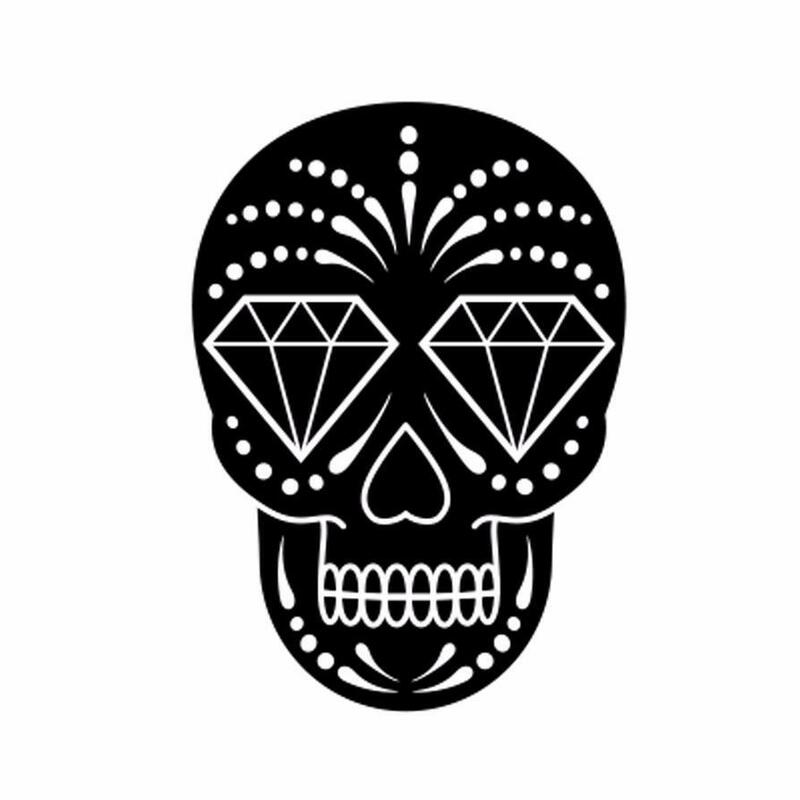 5% from every purchase is used to help repair the land and lives damaged by the unethical diamond mining industry. Jamie Wolf crafts bespoke, exquisitely detailed engagement rings for a limited number of select clients. 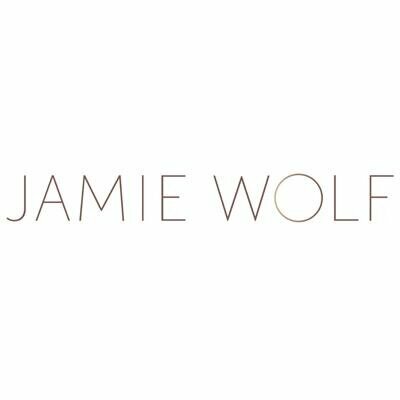 Why Jamie Wolf is a Top Engagement Ring Resource: If you're in the market for a professionally designed, bespoke engagement ring, you should definitely take a look at Jamie Wolf's work. Mervis Diamond Importers is a Washington, DC, area jewelry retailer that offers expert guidance, lifetime complimentary services on purchases, and more to discerning customers. Why Mervis Diamond Importers is a Top Engagement Ring Resource: Washington, DC, area shoppers looking for an engagement ring should check out Mervis Diamond Importers for their high level of customer service and beautiful pieces. Engage Diamond Studio in Toronto specializes in custom engagement and wedding rings that reflect your passion and style, all at prices you can afford. Why Engage Diamond Studio is a Top Engagement Ring Resource: They aim to ease their customers into the buying process by letting them discover, in-store, which styles they love, and educating them on settings, stones, and more. Once you know what you love, you'll sit down with one of their design experts and brainstorm your custom design. Ecksand is a Montreal, Canada-based jewelry company that prides itself on bringing out the natural beauty of its untreated diamonds and gems, as well as its timeless, yet modern, designs. 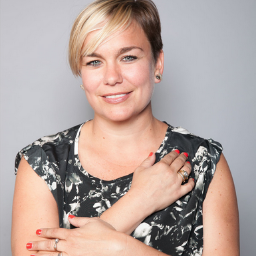 Creative Director Erica Bianchini founded Ecksand out of her conviction that clients deserve to fully understand the jewelry they purchase, and aims to help them from start to finish. Why Ecksand is a Top Engagement Ring Resource: All of their stones are ethically sourced, and their pieces are designed by top designers and crafted by master jewelers. Ecksand's blog is also notable as a great resource for anyone looking to learn more about diamonds, get a few proposal ideas, and more. 66mint Fine Estate Jewelry offers beautiful estate, antique, and vintage-inspired engagement rings featuring eco-friendly, repurposed diamonds. Guided by 3rd- and 4th-generation father and son managing partners, 66mint prides itself on its history and exemplary customer service. Why 66mint Fine Estate Jewelry is a Top Engagement Ring Resource: They have been serving the San Francisco area for over 100 years, and aim to offer a personalized experience for each and every client. They are also one of the nation's leading jewelry buyers; if you're looking to sell antique and vintage jewelry, you should pay them a visit. Imagine Diamonds aims to provide clients with beautiful, sparkling engagement rings at a cost that won't break your budget. Why Imagine Diamonds is a Top Engagement Ring Resource: Their gemologists and jewelry experts are always on hand to help you select or design the perfect engagement ring for your love. 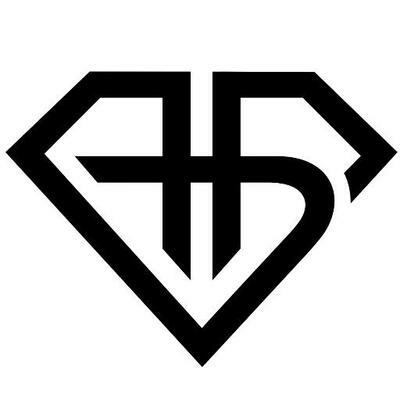 Their goal is always to provide you with the biggest diamonds at the best prices; check out their selection on their site. Deinte is a Nigeria-based fine jewelry retailer and wholesaler that works and designs directly with manufacturers to bring clients exquisite engagement rings at the best possible prices. Why Deinte is a Top Engagement Ring Resource: They aim to appeal to a discerning clientele that values exquisite craftsmanship and want only the finest luxury jewelry. You can even create a custom design right on their website and send it to them for a quote. Jewlr features a large selection of engagement and other rings, and even allows customers to personalize their own design. Why Jewlr is a Top Engagement Ring Resource: Shoppers who want to personalize a ring, or are just looking for a large selection, should check out this site. Shaftel Diamond Co. is one of Houston's premiere jewelers, offering exquisite craftsmanship and design along with unparalleled customer service. Founded by Keith Shaftel, they began as an importer of diamonds and gold chain and later added a full line of jewelry services. Why Shaftel Diamond Co. is a Top Engagement Ring Resource: They offer a fine selection of unique engagement rings, loose diamonds, and other jewelry from their location in the Houston Galleria. Operating since 1978, they have become a well-respected resource in the international diamond community, as well. Richards & West has been designing and crafting unique jewelry since 1982, using old-world skills and modern techniques to create exquisite pieces. John Richard Keim has a gift and passion for the design and creation of fine men's and women's jewelry that drove him to become a master jeweler. Why Richards & West is a Top Engagement Ring Resource: Using precious metals and fine gemstones, they craft rings and other jewelry for their customers in timeless styles. If you're looking for an heirloom-quality, unique, handcrafted engagement ring, Richards & West in East Rochester, New York, is an excellent bet. 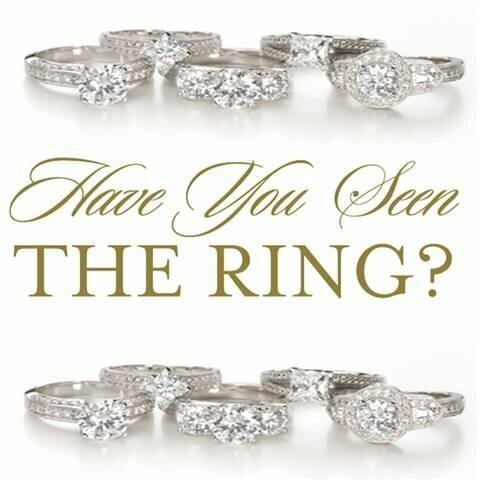 Brinker's Jewelers in Evansville, Indiana, aims to provide the guidance you need to pick out the perfect engagement ring. Roland and Jeanette Brinker founded Brinker's Jewelers in 1972 to provide quality jewelry and personalized products to their Indiana community, and over 45 years later, the tradition continues. Why Brinker's Jewelers is a Top Engagement Ring Resource: Customers can visit their store for in-person help, or start designing their own ring online and have it finished in just a few weeks. They work with engagement and bridal designers including ArtCarved, B Loved, Christopher Designs, and more, offering the highest quality rings and bridal jewelry. Yael Designs offers bold jewelry designs and custom work, all inspired by art from around the world. Why Yael Designs is a Top Engagement Ring Resource: With its uniquely artistic style, this company's designs will be a good fit for anyone who wants a ring that stands out from the crowd. Diamonds Unleashed is a diamond jewelry company with a purpose: to inspire women and provide them with educational and microfinance opportunities. Why Diamonds Unleashed is a Top Engagement Ring Resource: With part of all profits going to help women's groups, this is a site to visit if you want to support women the world over as you purchase an engagement ring. Tiny Jewel Box sells a wide variety of rings and other jewelry, but it's their engagement ring guide that makes their website such a great resource. Why Tiny Jewel Box is a Top Engagement Ring Resource: This site's engagement ring buying guide, which covers everything from current trends to picking the perfect ring, is reason enough to check this site out. 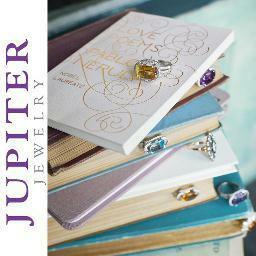 Jupiter Jewelry is a high-end jewelry design and restoration company out of New York; they have a large collection of unique designs, and their blog focuses on both jewelry and interior design. Why Jupiter Jewelry is a Top Engagement Ring Resource: Featured in a number of fashion publications, Jupiter Jewelry offers personal shopping experiences in the comfort of your home (if you live in the New York area). Share on Facebook "Best Engagement Rings"